As the third-largest economy in sub-Saharan Africa and the continent’s number one oil producer, Angola seems set for a promising future. The country finally pulled out of a 27-year long civil war in 2002 and has been rapidly building up its infrastructure ever since, even if its economy still retained its energy-exporting dependence. The economic crisis that’s been caused by the latest oil slump has given Luanda a pressing motivation to finally diversify its revenue base and begin exploring the manufacturing industry and steel production. Only time will tell if this is too little too late or the right move at the right time, but the most fundamental component of Angola’s diversification strategy is its ambition to serve as a terminal point for the Democratic Republic of the Congo (DRC) and Zambia’s multinational railroad projects. Together these constitute the coast-to-coast Southern Trans-African Route (STAR) being spearheaded by China, which in turn reinforces the Chinese-Angolan Strategic Partnership and underscores the unparalleled importance of Luanda in Beijing’s continental grand strategy. China’s New Silk Road vision for Africa encompasses much more that natural resource extraction. It in fact aims to facilitate the continent’s commercial capabilities in serving as a labor and export market for China’s overcapacity. African countries can only be in a position to purchase excess Chinese products if they themselves have a stable and growing economy, which is impossible to maintain under an energy export-centric system. Therein lays the strategic value of Chinese investments in Angola and the other countries of the South-Central, East, and Horn of African regions that are expected to be connected to the new transnational multipolar transport corridors that Beijing is financing and constructing all throughout the continent. Angola’s role in this ambitious construction is to function as STAR’s South Atlantic terminal via the colonial-era Benguela Railroad that China just rehabilitated last year. 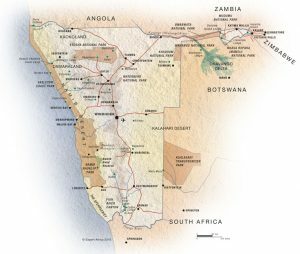 Following its (re-)inauguration, Angola now has the potential of joining its Atlantic port of Lobito to the mineral-rich former Katanga region of the DRC, as well as to the Copperbelt Province of Zambia. Moreover, the construction of the Northwest Railway in the latter landlocked state would directly link Lusaka to Lobito, and in an even broader context, provide a safer alternative to the conflict-prone Congo in connecting Angola with Tanzania, or in other words, bridging Africa’s Atlantic and Indian Ocean coasts. In the event that a commercially viable transport interconnector can be created between Tanzania and Kenya, then the broader potential would emerge for Tanzania to establish a mainland trading route with Ethiopia via the LAPSSET Corridor. By extent, this would then make it possible for two of the continent’s largest economies of South Africa and Angola to conduct overland trade with its fastest-growing one in Ethiopia by means of the stable East African Community (EAC) transit states of Tanzania and Kenya. Angola’s key to cashing in on this transregional real-sector economic corridor is the Benguela Railroad, and it’s the only infrastructural hope that Luanda has for sustainably augmenting its intra-African trade and not losing out on this historic opportunity for physically networking its economy with its continental counterparts. Given this supreme importance, it’s not hyperbole to state that Angola’s future is dependent on Benguela, since it’s only a matter of time before the energy bonanza dies out and/or the impoverished population becomes violently unhappy (due to foreign NGO prodding) with the rising income inequality that’s been piercingly aggravated by the present economic crisis. Without the sort of renewable economic opportunities that international transport infrastructure can bring to Angola, its entrepreneurs will have difficulty cost-effectively penetrating other markets. Even in the event that they opt for maritime trade routes across the cape and all the way to the other side of Africa, they’d lose out on competitively valuable time in doing so that could otherwise be optimized by relying on the new interconnected rail routes. It has been comprehensively described how Angola fits into China’s larger plans for Africa, and that’s not even counting the fact that the country is Beijing’s second-largest supplier of oil, but Russia also has an interest in Angola, too. Whereas China’s focus is evolving from energy imports to multinational transport facilitation and real-sector investments, Russia’s is still concentrated on natural resource extraction and the global energy market in general. Moscow also maintains close military relations with Luanda dating back to the Soviet era, and it uses this strategic connection to reinforce its bilateral partnership and ensure that it’s not totally left out of the economic developments in the country. The confluence of Russia and China’s attention in Angola means that the South Atlantic country is host to a unique interplay of the global Russian-Chinese Strategic Partnership. This plays out through Moscow assisting with security and energy marketplace cooperation while Beijing reliably purchases the said energy supplies from Luanda and works on modernizing its real-sector economic potential. Prior to addressing the traditional military-energy mainstays of the Russian-Angolan Strategic Partnership, it’s important to touch upon the recent commercial incentives that have emerged as a driving force in the bilateral relationship. The outcome of the Angola-Russia Intergovernmental Commission meeting in April was that both sides would work towards deepening their cooperation in the spheres of automobile technology, light and heavy industry, fisheries, manufacturing, mining, renewable (solar) and non-renewable energy, railroad components, and agriculture. It’s hoped that closer collaboration in these sectors can lead to an increase in bilateral trade from its present level of $244 million last year to something worthier of the high level of strategic relations that both sides presently enjoy, though that isn’t to say that this current state isn’t commendable as it is. One report writes that this rate is actually “four times more than the amount yield [sic] in the previous period”, which indicates that economic relations are already growing at an astronomical pace and will likely continue along a positive path for the coming future, though probably not in such an exponential way. The most well-known characteristic of Russian-Angolan relations is their visible military cooperation, with the latest deal being signed in 2013 for the export of $1 billion worth of Russian jets, tanks, artillery, arms, and ammunition to the African nation. President Jose Eduardo dos Santos, Angola’s leader since 1979, visited the Kremlin and met with President Putin in 2006, while then-President Medvedev reciprocated the measure and went to Angola in 2009 during his tour of Africa. These leadership summits underscored just how important each side views the other, and they served to remind the world that Russia had not forgotten about Angola despite the collapse of the Soviet Union and the renunciation of their shared ideological ties of communism. Modern-day Russian diplomacy towards Angola is driven by military considerations just as much as it is by energy ones, and nothing illustrates this more clearly than a brilliant article written by Gustavo Plácido Dos Santos for Eurasia Review. In “Russia’s ‘Charm Offensive’ In Africa: The Case Of Angola – Analysis”, the researcher writes that sub-Saharan Africa is already awash in oil and is expected to produce more gas than Russia by 2040, thus making it an attractive alternative source for non-Russian energy imports for the EU. He believes that Russia’s energy cooperation with Angola is centered on giving it a position in the hydrocarbon-rich Gulf of Guinea and thus allowing it to indirectly exert influence over the EU’s forthcoming reserve pool, ironically negating Brussels’ hope that the region would not in any way be under Moscow’s sway. This is a clever approach by Russia’s energy corps and perfectly supplements what the Ministry of Foreign Affairs and Ministry of Defense have in mind for Angola. 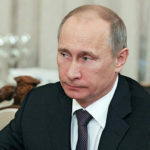 By becoming a greater energy power hand-in-hand with Moscow’s expertise and investment in this field, Luanda can then be in a better position to purchase more weaponry for defending its interests, with the combination of energy and military power leading to the inevitable expansion of political influence throughout the region. China’s assistance in guiding Angola’s transition from a vulnerable resource-exporting economy to a more stable commercially linked one via the New Silk Roads is integral to sustaining Luanda’s projected leadership, and it’s here where the Russian-Chinese Strategic Partnership again overlaps in the South Atlantic and gives the US yet another reason to want to sabotage Angola’s rise. Following the immediate post-independence crisis in the Congo, new leader Mobutu renamed his country Zaire forbade its mineral-rich and secessionist-prone southeastern province of Katanga from going by its original name, instead rechristening it as “Shaba”. The pro-American leader actively cooperated with the West in turning his country into the camp’s geostrategic African stronghold, and this naturally saw him extending support to the allied pro-American UNITA rebels fighting in Angola’s civil war. In response, the ruling People’s Movement for the Liberation of Angola (MPLA) party and its Soviet and Cuban patrons are suspected of having aided the Zairean rebel group “Front for the National Liberation of the Congo” in their 1977 invasion of Shaba from Angolan soil. The US and France sent material and military support respectively and the invasion was repelled, but a follow-up attempt was made one year later in which France once again teamed up with the US in order to save their proxy. The former Portuguese colony in the Gulf of Guinea gained independence in the same year as Angola did in 1975, and only three years later it requested its fellow freedom fighter’s troops to quell a coup attempt in 1978. Relations have since been very strong between the two Lusophone states, and the islands are a priority vector of Angola’s grand strategy. Being situated where they are in the oil-rich waters right off the coast of Nigeria, they’re primed to be used as a launching pad for further Angolan influence along the waterway and around the West African bend. 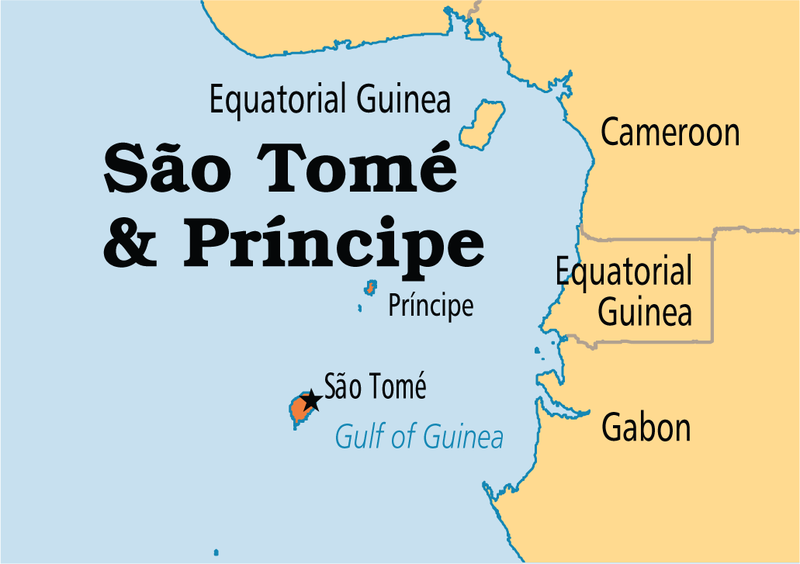 In fact, São Tomé and Príncipe is so significant to Angola because it represents the first node in a larger Lusophone chain of Sea Lines of Communication (SLOC) from Western Africa to the US and the EU, all of which are under varying degrees of Luanda’s influence. 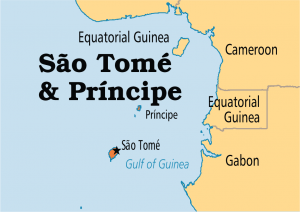 Together with Cabo Verde (formerly Cape Verde until 2013) and Guinea-Bissau, São Tomé and Príncipe could one day collectively constitute a West African “string of pearls” along the maritime Silk Road, especially as multipolar-aligned Angola continues to receive assistance from the Russian-Chinese Strategic Partnership in its quest to become an African Power. Each of these states could fulfill their own respective logistical roles in hosting warehouses and storage facilities that facilitate the convenient transshipment of African goods to the US under the framework of the trade-enabling African Growth and Opportunity Act (AGOA). A similar such agreement might be signed between the EU and different African countries or regions sometime in the future, at which time these Lusophone SLOC would become doubly important. The only inadvertently negative consequence of Luanda’s rising influence in São Tomé and Príncipe is the potential that this has for sparking a strategic dilemma between Angola and Nigeria. 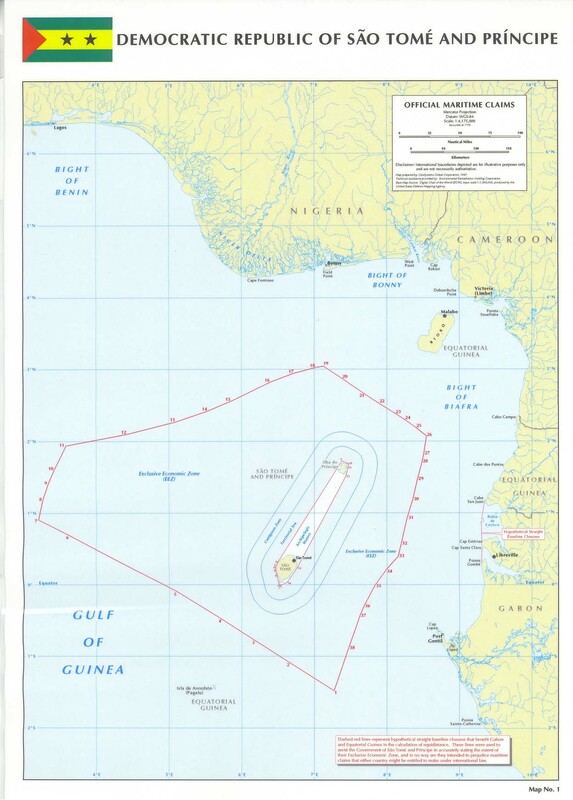 This will be addressed at the end of this section, but the author would like to draw the reader’s attention to a comprehensive article written by the aforementioned Portuguese political scientist Gustavo Plácido dos Santo, this time called “Nigeria And Sao Tome And Principe: A Relationship Centered On Oil And Geostrategy – Analysis”. The researcher compiled a diverse collection of facts about the bilateral relationship between these two states, especially as it relates to the energy sphere and future anti-piracy security measures in the Gulf of Guinea, to postulate that Abuja has a discernable interest in the islands, but that Angola’s rising military and investment cooperation with the islands might lead to Nigeria feeling threatened. MPLA hosted the South West African People’s Organization (SWAPO) which was fighting throughout most of the Cold War against apartheid South Africa’s occupation of what is nowadays called Namibia. During that time, the South African military regularly violated Angolan territory and participated in many battles with the country’s military. Angolan-Namibian ties continued to strengthen after independence and fortuitously provided a common geographic platform for bringing Luanda and Pretoria together as well, after which their relations finally began to take off at the turn of the century. It was right before that time that Angola and Namibia entered into a broader multilateral mutual defense pact in 1999 that also included Zimbabwe and the Democratic Republic of the Congo (DRC). In order to explain the peculiarity of how rivals Angola and the DRC came to militarily support one another, a conversation must be undertaken about the First and Second Congo Wars that raged throughout the latter half of the 1990s. Angola invaded Zaire in 1997 in order to avenge Mobutu’s decades-long support for the pro-American UNITA rebels. It wasn’t the first country to get involved in the fray, but its large-scale participation could be considered as a tipping point for the anti-Mobutu coalition due to Angola’s proximity to the country’s capital and the fact that it opened up a second Western front to accompany the first one in the East. Rwanda and Uganda had by that time already been streaming towards Kinshasa as part of their jungle blitzkrieg, and unable to fight a two-front war against such capable military foes, Mobutu abdicated shortly thereafter and the rebel chief Laurent Kabila became the country’s president, after which he renamed the country the Democratic Republic of the Congo. His former Rwandan and Ugandan allies tried to turn him into their puppet right away but he rebelled and expelled their forces from his recently liberated country, which in turn sparked the Second Congo War. It was through this conflict which some have called “Africa’s World War” that Angola and the DRC became mutual defense partners and Luanda sent soldiers to Kabila’s aid. In the nearly two decades since, the relationship has had its ups and downs, such as when Angola and the DRC resolved the border dispute between them in 2007, but yet Angola still continued to kick out Congolese citizens en masse under the pretense that they were illegal immigrants. It’ll later be seen when discussing the Hybrid War scenario of Kongo Kingdom Revisionism why this may have been a much more forward-looking strategic decision than the short-sighted reactive one that people thought it was at the moment, but for now it’s enough to say that state-to-state relations between Angola and the DRC are stable and improving despite the illegal immigration impediment. 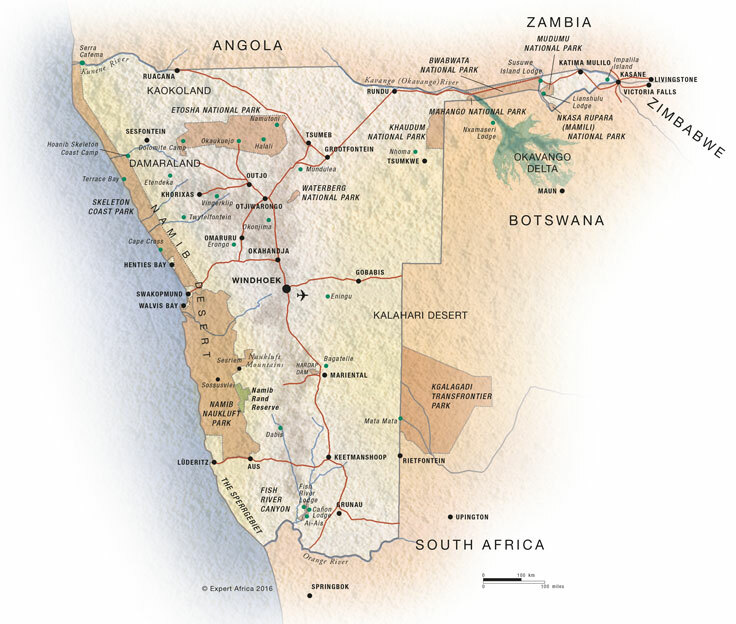 Each side is gradually bettering their connectivity and security cooperation with the other in light of the Benguela railway’s refurbishment and the associated cross-continental New Silk Road benefits that it will make available to both of them, and this can be expected to lead to even closer relations in the coming years that might eventually put to rest the low-scale rivalry that still exists between them. Angola’s most daring military operation was probably when it sent its troops to back the rebels of former Congolese President Denis Sassou Nguesso in retaking the Republic of the Congo’s capital of Brazzaville in late 1997. No other foreign forces were involved in this campaign, unlike in the neighboring Democratic Republic of the Congo, but just like during the First Congo War, the rebels probably wouldn’t have prevailed had it not been for the Angolan intervention. Luanda’s strategic objective in this campaign was to install a friendly government in Brazzaville that wouldn’t provide aid and sanctuary to the Front for the Liberation of the Enclave of Cabinda (FLEC) that’s fighting for the independence of the barely discontiguous province north a few kilometers north of the Congo River. Although obviously not a factor at the time, Angolan influence over President Nguesso could indirectly give Luanda another trump card over Kinshasa when it comes to the Chinese-supported trans-African routes being developed through the DRC. The Southern Trans-African Route (STAR) terminates at the Atlantic port of Lobito, while its northern counterpart, the Northern Trans-African Route (NTAR), will reach the ocean either at the poor and geographically unsuitable DRC port of Matadi or the deep-water and much more accessible Republic of Congo one in Pointe-Noire. Since Matadi isn’t foreseen to ever become anything more than a secondary backup to Pointe-Noire, the Republic of the Congo will ultimately hold the final say over the DRC’s transcontinental trade route, thus giving Brazzaville’s allied government in Luanda a say over Kinshasa by extent. 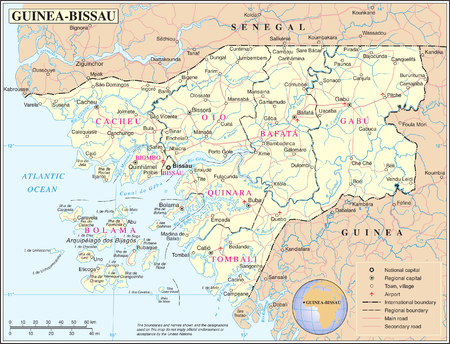 The last significant projection of influence that Angola partook in was in Guinea-Bissau, though this one was much more covert and barely made the headlines. The former Portuguese colony is situated along the forecasted Lusophone SLOC from Western Africa to the US and EU, and it’s also a notorious drug-smuggling point for South American cocaine to Europe. It’s so deeply enmeshed in the drug trade that The Guardian even declared it the world’s first “narcostate” in 2008, pointing to the fact that the fifth-poorest country in the world was practically controlled by Colombian cartels and their corrupt military partners. 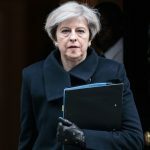 The coup-prone country experienced a successful military seizure of power in 2012, ostensibly in reaction to what the plotters denounced as a “secret deal” between the Angolan and Bissauan governments for “Angola to attack Guinea-Bissau’s military”. To add some context to what might otherwise sound like an unsubstantiated claim, Angola had deployed 270 troops to the country to help reform the military and hopefully put an end to this institution continuously undermining the political authorities. Whether Luanda was indeed trying to ‘destroy’ the military through this format or not, they probably saw it as a threat to their future influence over the state, hence why they launched the coup and Angola withdrew its troops a few months afterwards (though the departure was announced a few days before the regime change unfolded). Angola’s attention to this seemingly obscure state is driven by its shared colonial history, familiar Lusophone identity, and its strategic position along the SLOC. Luanda likely thought that it could easily reform the Bissauan military and turn the state into an outpost for projecting dual maritime-mainland influence. Whatever its motivation was in getting involved with Guinea-Bissau, Angola clearly failed to achieve its objectives, and while the two states have since normalized their relations and decided to strengthen them, it’s very likely that Luanda won’t engage in another power play there anytime soon. This doesn’t mean that the two countries can’t pragmatically cooperate on joint projects, but that the Angolan military will probably never be redeployed to the country again, thus preventing a repeat of the pre-coup events that sparked the regime change and keeping relations at a respectful level free from unnecessary distractions and future speculation. Angola’s rise as an African Power is pushing up against Nigeria’s future ambitions in the Greater Gulf of Guinea space and the broader West-Central African region in general, though it hasn’t yet gotten to the point of an observable rivalry between both sides. Angola and Nigeria have the potential to pool their capabilities and become the cores of a larger multipolar network throughout the whole of Atlantic Africa, and neither objectively has anything to fear from the other. It’s possible for a friendly competition to develop in which Abuja and Luanda stake out their own respective spheres of influence and then work on pragmatically integrating these areas into a collective framework that ultimately complements the multipolar vision for the continent. It’s still too early to tell which direction Angolan-Nigerian relations will go, but the US certainly has a stake in stoking a manufactured strategic dilemma between both sides and getting them to deeply distrust one another to the point of encouraging a divisive Cold War between them. São Tomé and Príncipe is the perfect location for this to happen, just as Dos Santos warned about in his article for Eurasia Review. It would geographically make sense for the islands to partner more closely with Nigeria out of their common anti-piracy interest in protecting their oil-rich waters and the Joint Development Authority that they both share, but the socio-cultural factors connecting it to Angola might mean that Luanda could interpret any prospective security cooperation between the two as being against its interests or vice-versa vis-à-vis Abuja if São Tomé and Príncipe invites Luanda to take on this role instead. Right now the state of Angolan-Nigerian affairs in regards to São Tomé and Príncipe is calm and there seems to be no reason to worry, but all that it might take to change the situation is one or a few high-profile successful or attempted hijackings before the joint anti-piracy initiative that Dos Santos suggested would be brought to the fore of the Gulf’s geopolitics. From Angola’s perspective, any relative Nigerian advances in what it believes to constitute its soft sphere of cultural-political influence (the Lusophone space), as well as over another oil-exporting country like itself (albeit nowhere near as big as either of these two), could lead to the eventual retreat of Angolan influence in similarly composed states (e.g. 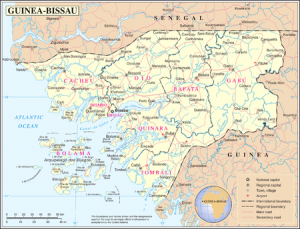 Guinea-Bissau and Equatorial Guinea) and scuttle Luanda’s plans for regional leadership. From the reverse angle, Nigeria knows that if Angola came out on top in any prospective competition for São Tomé, then it could indirectly gain influence in the waters of its strategically placed Exclusive Economic Zone, which a look at the map shows would essentially hem Nigeria in along its southern maritime periphery and give Luanda influence within close proximity to the country’s oil-producing Niger River Delta. If Angolan anti-piracy vessels started patrolling the nearby waters outside of any multilateral military understanding that included Nigeria, then it would certainly be assessed as a strategic threat in Abuja. If the US succeeded in starting a Cold War between Angola and Nigeria for São Tomé and Príncipe, then it would directly play right into Washington’s strategic hands by having two of Africa’s West Coast powers face off against one another in a mutually disadvantageous scenario. Nigeria is already a weakened giant both because of its internal identity-political dysfunction and the resultant (Western-supported) outgrowth of Boko Haram, and even though Angola is clearly on the ascent, its rise could severely be hampered by an unnecessary and potentially costly rivalry with Nigeria. The US would prefer to have two embattled states contain one another and pick their rival apart than to have one or both of them peacefully succeeding and tilling the political landscape to make it more fertile for multipolarity. Seeing how Nigeria is currently beset with a multitude of serious problems stemming from Boko Haram and other regional threats such as the Niger Delta-based “Avengers” and similar criminal-separatist organizations, it’s going to be a while before it can ever return to substantially chasing its leadership ambitions, therefore leaving Angola as the last target in the duo for the US to destabilize. Having established that Angola is a reliably stable country that endeavors for regional leadership on both the high seas (the Lusophone SLOC) and the continental interior (its involvement in the DRC and terminal role in STAR), one can conclude that the country is well on its way to becoming a cornerstone of multipolarity in Africa. Despite the structural risks that are still present in the economy due to its excessive revenue dependency on energy exports, the country has by and large remained on the positive trajectory that the MPLA civil war victors have laid out for it. Even though long-serving and elderly President Jose Eduardo dos Santos has no clear political heirs, it’s feasible that his billionaire entrepreneur daughter Isabel (who also doubles as Africa’s richest woman and the current head of the state oil company Sonangol) might one day take up the reins and ensure strategic continuity, which in that case would reinforce the Russian position in Angola because of the fact that she was born in the USSR to an ethnic Russian mother and realistically retains a positive attitude towards her maternal homeland. 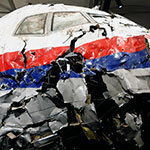 Since it can be predicted that Moscow’s influence will only continue to rise within this country together with China’s, the US might seek to tap into its decades-long Cold War-era reserve of on-the-ground proxies to encourage a series of counteracting Hybrid Wars. In relation to the ever-present threat of a Color Revolution and possibly preceded by or unfolding in coordination with it, these could take the form of a revived UNITA insurgency, Cabinda separatism, and Kongo Kingdom revisionism. This Portuguese-era rebel group never stopped fighting after the colonialists departed, instead turning their guns on their MPLA rivals who were by then leading the newly independent country. This immediately threw Angola into the throes of civil war before it ever had a chance to know peace. UNITA ended up being heavily supported by the US and apartheid South Africa, while MPLA was backed up by the USSR and Cuba, the latter of which staged a dramatic years-long military intervention by sending tens of thousands of troops to assist its beleaguered socialist ally in Africa. The civil war between UNITA and the MPLA continued even after the Cold War had ended, though by the mid-1990s the US officially disowned its warlord proxies and joined the rest of the UNSC in sanctioning them for violating ceasefire accords. This marked a turning point in the civil war and might have been influenced by the US’ realization that UNITA wouldn’t win and that it would be much better for Washington to team up with the MPLA instead of fruitlessly keep opposing it by backing the losing side. The US may have desired reliable access to Angola’s large oil sector, and whether or not this was indeed the full motivation behind the decision to drop UNITA, it turned out to play exactly to Washington’s favor in that regard over two decades after the fact. Following the Angolan military’s neutralization of UNITA founder Jonas Savimbi in 2002 and the end of the civil war that year, the US removed sanctions against the guerrilla group which had by that point legally transitioned into an opposition party, but its diplomatic support for the government in the final stages of the war and its abandonment of UNITA led to a breakthrough in bilateral relations most clearly manifested in the energy sector and the 2009 declaration of a “Strategic Partnership Dialogue”. The US is now Angola’s second-largest oil export market behind only China, and the South Atlantic state is the US’ 10th largest import source as of May 2016. Furthermore, when the US’ domestic fracking industry underperformed in the past year because of the energy crisis, Washington opted for replacing some of its lost production with an increase in Angolan imports. The two countries are evidently very close in this sphere, but it’s clear that the relationship isn’t so integral to the US that the country would be irreparably damaged if this was disrupted. This could be taken to mean that whatever Angola’s motivations might have been in allowing the US to become its second-largest oil purchaser, this state of affairs doesn’t in any way ensure that the country is safeguarded from American-supported destabilization. It’s true that the opportunity to provide the US a reliable backup source of oil was advantageous to both sides – the US was able to diversify its imports while Angola’s MPLA ruling party could “make nice” with their former enemy and bring in much-needed revenue directly from the dollar’s source – but there’s nothing in this relationship that can’t be substituted by another actor, such as the US depending more on Nigeria and Angola on China, for example. Neither side inherently ‘needs’ the other, though their energy partnership is for now a win-win arrangement that could indefinitely continue so long as the US wants it to. There’s no sensible reason why the US would want to change this relationship except in the event that its domestic fracking production picks back up and Angolan imports are no longer required at their current level, but even then, it’s more prone to simply decrease its purchases and not overthrow the government. However, when analyzed from a broader strategic perspective, for as positive as the US’ relations with Angola presently are (especially in the energy sector), they’re not influential enough to get Luanda to use its exports to China as a proxy instrument of American pressure against Beijing. Therefore, aside from the already presumed Law of Hybrid War motivation for destabilizing Angola as a means of disrupting the multipolar transnational connective infrastructure project (STAR) running through its territory, the other reason that the US has for doing this is to create an opportunity for an allied political force to seize power and subsequently exert indirect American influence over China’s main African source of oil. 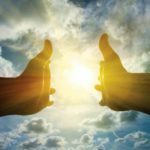 This by itself isn’t a coup de grace against Beijing, but combined with other energy-related Hybrid Wars all across the world, could contribute to crafting a future where the US in one form or another acquires the power to disrupt, control, and influence most of China’s foreign energy sources, which in that case would give Washington unthinkable leverage over Beijing and possibly even end the New Cold War with a unipolar victory. This is why the US might seek to support a second UNITA insurgency in Angola – not to ‘steal’ the oil for itself, but to establish a degree of control over it so that it could deny it to its competitors in the future, similar in essence to the reason why the US launched the War on Iraq. 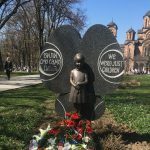 Behind the rhetorical polemics about “democracy” and “weapons of mass destruction”, one of the realpolitik ‘justifications’ other than geostrategically rearranging the Mideast was always for the US to directly or indirectly control its rivals’ oil, whether through an on-the-ground occupation or an allied proxy government, both of which did not yield the expected results for a wide range of reasons. Despite being an expensive failure in the Iraqi case, the strategic ‘reasoning’ behind the war is still attractive to the minds of the US’ zero-sum “deep state” decision makers, which is why they may be tempted to wage a Hybrid War on Angola. The most realistic circumstances under which UNITA might try to return to the forefront of domestic politics would obviously have to be after President dos Santos’ death or resignation. This is because the 2010 constitution stipulates that the president is no longer directly elected by popular vote, but that the leader of the winning party in parliamentary elections immediately assumes this office. 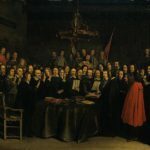 It’s expected that the transfer of power from dos Santos to his future successor will serve as the trigger event for sparking a preplanned Color Revolution driven by demands for a “democratic vote” and other rabble-rousing liberal-progressive rhetoric designed to drum up easily manipulatable popular anger against the authorities. It doesn’t matter too much whether this is directed against scarecrows such as his daughter Isabel or perhaps even a ruling party apparatchik, because what’s important is that UNITA and its affiliated pro-Western NGO allies will work hard to channel the civil society energy that they’ve manufactured so as to improve their odds of ‘democratically’ seizing power. Needless to say, the government won’t make an exception to the constitution just to please the ‘opposition’, so it’s not predicted that they’ll reinstitute presidential elections, though depending on the circumstances of dos Santos’ succession (whether he unexpectedly passes away in office or initiates a phased leadership transition), there might be early parliamentary elections (which in turn would lead to a new president). UNITA doesn’t stand a chance at winning them, though they’ll try to agilely ride the wave of social discontent amidst the ongoing economic (energy commodities) crisis in order to boost their previous showing of 18% in 2012. Unhappy with not winning the presidency, some of their members may then use the party’s defeat and the indirect elections to that office as the ‘justifications’ for taking back to the bush and waging a low-level insurgency, which they’d of course would expect to receive some level of American support (whether directly acknowledged or indirectly and covertly supplied). It’ll more than likely be the latter, and it doesn’t seem foreseeable that the US will at this time devote too many resources or attention to such a campaign aside from putting it on the backburner as an option to return to in the future whenever the subjective ‘need’ arises (such as the possibility for a grand bargain with China or to disrupt its Angolan energy supplies and STAR). So as not to be misconstrued, the author is not necessarily predicting that UNITA will indeed take up arms once again, but is instead postulating the scenario under which this might be possible. In any case, it’s not expected that UNITA’s second insurgency will be anything like RENAMO’s in nearby fellow Lusophone Mozambique. The two rebel groups differ for a few reasons, including most importantly the fact that UNITA’s founder was killed in 2002 while RENAMO’s most prominent Cold War-era leader continues to live, lead, and fight. Another factor that can’t be overlooked is that UNITA doesn’t control or lay claim to any physical territory despite its history of support in the eastern regions (which is where they may return to in the event of a second outbreak of conflict), unlike RENAMO which operates in 6 provinces and controls swathes of territory outside the reach of government forces. The last point to be mentioned on this topic is that Angola is already an energy giant while Mozambique is on the path to becoming one. Luanda accordingly has much more money available at its disposal for state-of-the-art weapons purchases that would greatly enhance its ability to defend its sovereignty and carry out anti-terrorist operations against any forthcoming UNITA insurgents, while comparatively poorer Maputo isn’t yet strong enough to do any of this and is thus in a much more vulnerable position that could more easily be exploited. The exclave of Cabinda (inaccurately called an “enclave” by the main separatist organization) is but a tiny fraction of Angola’s territory and population, but it disproportionately produces 60% of the country’s oil. Luanda won’t ever let this territory go no matter what happens, yet this hasn’t stopped some from trying to fight for independence. The Front for the Liberation of the Enclave of Cabinda (FLEC) that was spoken about earlier in regards to the Republic of the Congo is the main rebel group operating in the province, and it’s formed from several insurgent organizations that joined together in 1963 in order to optimize their efforts at achieving the shared objective of future state sovereignty. The way that they see it, the small exorbitantly oil-rich province is being denied what some locals feel is their fair share of the revenue proceeds, which instead must be sent to Luanda and divided amongst the other much poorer provinces. 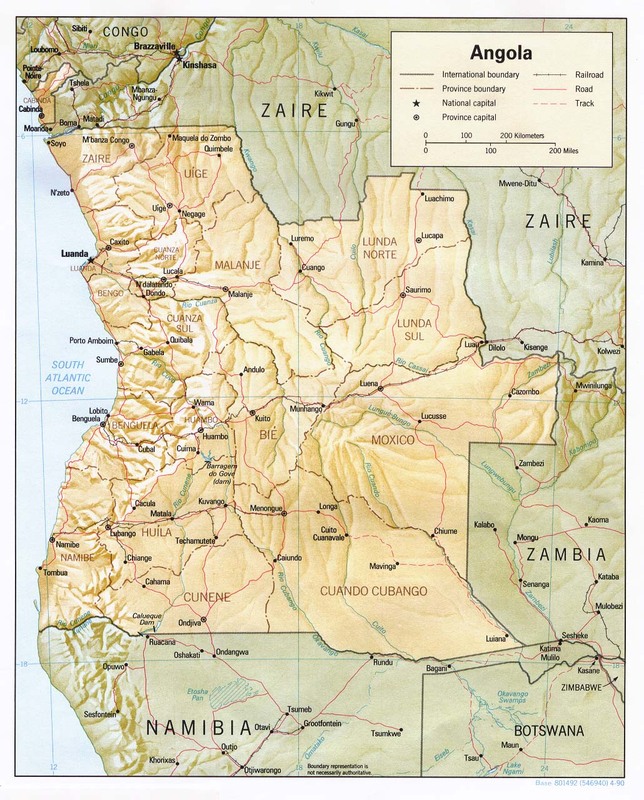 FLEC points to Cabinda’s identity and historical uniqueness relative to the rest of the country and the fact that the territory was briefly administered as its own separate colony by Portugal. They insist that if the oil revenue was concentrated in Cabinda, then the less than one million citizens that inhabit their prospective country would become unimaginably wealthy and achieve the sort of socio-economic development that they feel they’ve been deprived of for decades. Looked at from the opposite angle, the Angolan authorities view Cabinda as an integral part of their country and an irreplaceable source of wealth for the state as a whole. They could convincingly argue that the exclave’s resources have contributed to modernization and development all throughout the country, thus benefiting the greater good of Angolan nationhood as opposed to only a handful of people in a small sliver of land. Regardless of which side is normatively ‘right’ in this conflict, objectively speaking, an upsurge in militant Cabindan separatist activity on whatever grounds it’s argued would have the most immediate potential for destabilizing the state. Angola depends much too heavily on Cabinda to not be affected by an incipient wave of violence there, and even though the oil rigs are far offshore and seemingly untouchable, that still doesn’t mean that disturbances in the mainland portion of the province wouldn’t impact on its maritime counterpart. All that it takes is one or a few high-profile piracy or missile attacks targeting one or some of Angola’s many Western offshore energy investments in order to create panic among the relevant community and engender an immediate and harsh military crackdown. The state rightly recognizes that instability in the jungled interior could thus lead to the inevitable outgrowth of coastal conflict, which is why they absolutely need to contain whatever violence might break out and prevent it from interfering with Angola’s offshore energy extraction. There’s already evidence that a new wave of insurgent activity is about to strike Cabinda, as seen by FLEC’s surprise attacks against the Angolan military there at the end of July. According to the separatists, they killed 9 government troops and injured 14 in a jungle ambush, and they also called on international oil workers to leave the province. This is a clear statement of intent signaling that plans are already underway for a rebel offensive or return to guerrilla warfare in the coming future, though with foreign contractors likely remaining at their job posts and not heeding FLEC’s call, it seems all but inevitable that some of them will be taken hostage, kidnapped, or killed in the future as part of a dramatic attention-grabbing flare-up in the region. Even with increased private military and Angolan state-provided security, oil workers, their job sites, and barracks are just too soft of targets to be adequately protected at all times, so Angola and its partners need to brace themselves for the possibility that civilians will be caught in the crossfire of a renewed Cabindan secessionist conflict. Under the present domestic and regional circumstances, the Angolan military is more than capable of dealing with a new Cabindan insurgency, but if this reaches its zenith concurrent with other crises in the country such as an oncoming Color Revolution during next summer’s parliamentary (and thus by indirect extent, presidential) elections, the authorities might be overwhelmed and taken off guard. 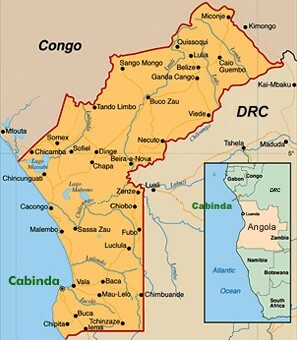 Additionally, if the US’ succeeds in a future regime change operation in the Republic of the Congo (considering that its most recent lackluster one failed) or the neighboring DRC, then either of these countries could come under the control of American-influenced client regimes that thus become “Lead From Behind” participants in the militant campaign for Cabindan independence. That would not only increase the rebels’ chances of success – whether in achieving independence, drawing the Angolan military into a quagmire, or carving out ‘liberated’ territory (no matter how small) – but it would also spike the possibility of state-to-state violence between Luanda and whichever of the two neighboring governments provides aid to FLEC. This would consequently internationalize the secessionist crisis and massively complicate Angola’s peaceful rise to regional leadership. The last Hybrid War scenario in Angola is the least likely to occur in the short-term, but might be the most destabilizing if it suddenly pops up amidst a Color Revolution, a second UNITA insurgency, an intensified Cabindan separatist campaign, or a combination thereof. To explain, approximately 8% of Angolans are of the Bakongo ethnicity, with most of them being concentrated in the northern provinces of Zaire (which is coastal and well-endowed with offshore oil reserves and an LNG processing facility) and Uige where they form a majority of the population. These two regions used to be part of the pre-colonial Kongo Kingdom, which also stretched into Cabinda, the Bas-Congo province of the DRC, and areas of the Republic of the Congo (which is nearly half Bakongo). 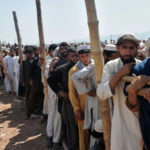 It’s very difficult for outside observers to gauge the sense of transnational ‘identity togetherness’ that this demographic feels and the potential for it to be politicized into a separatist movement, but it can generally be assumed that foreign-directed NGOs would be instrumental in consolidating this sentiment and manipulating it for geopolitical gains. One of the most probable starting points for the weaponized information campaign of Bakongo nationalism would be the historical experience of the National Front for the Liberation of Angola (FNLA) rebel group during the civil war period. This organization played a much lesser role than UNITA did, but it nonetheless is relevant in this context for having brought together many Bakongo people under a shared militant banner. When taken together with the historical memory of the Kongo Kingdom, the FNLA functions as the military-political tool for actualizing this territorially revisionist project, no matter if it’s organizationally spread across the tristate region or concentrated in the Angolan-DRC borderlands. The author wasn’t able to find information about any active Bakongo separatist groups in Angola (other than FLEC, with Cabindans being a part of this civilization), but there was one organization in the DRC which repeatedly came up throughout the research as a group to watch. The Bundu dia Kongo (BDK) has been involved in several violent provocations against the Kinshasa authorities, and their main objective is to create a sovereign Bakongo state out of the Bas-Congo province. Clearly, though, this would naturally extend into Angola, both in Zaire and Uige provinces and Cabinda, so the group must automatically also be seen as a threat to Angola’s sovereignty alongside the DRC’s. BDK is troublesome for both states because it could catalyze a conflict between them, whether one in which both governments are fighting the same allied network of interrelated cross-border insurgents or a scenario through which an expansionist regime-changed pro-American DRC uses the group as a proxy lever for destabilizing Angola on America’s behalf. Both possibilities could happen, with the first one occurring either under the already existing conditions or amidst the type of total-state breakdown that will be discussed in the next chapter about the country, while the second might happen if the DRC decides to devolve along the lines of an “Identity Federation” (whether on its own prerogative or in response to another civil war). If the aforementioned political reconstitution enters into force, then it could be safely inferred that the Bakongo would receive their own quasi-independent statelet in Bas-Congo province which could then be used as a springboard for a revived FNLA Bakongo nationalist movement in Angola. This would naturally merge with the Cabindan separatist campaign that was described above in order to throw most of Angola’s northern borderland into conflict, thereby jeopardizing the government’s oil revenues in Cabinda and Zaire provinces. Ironically, this would be a ‘reverse-Shaba’ in the sense that it wouldn’t be Angolan rebels invading the DRC’s restive Katanga province, but Congolese DRC ones invading the Bakongo frontiers of Angola. Even though the Benguela railway doesn’t run through any of the forecasted operational areas, it would likely be used in this scenario as an instrument of blackmail by Kinshasa owing to Luanda’s future real-sector economic dependency on this route, which would then in that case totally disrupt China’s cross-continental New Silk Road plans for this part of Africa and fulfill the strategic objective of Hybrid War. Moreover, because of Luanda’s proximity to the DRC border and the Bakongo-majority-inhabited areas of its own internal borderland, if military forces in the DRC ever got powerful enough either in a nationwide sense or a non-state regional one like in Bas-Congo province with the BDK, then they might be able to decisively threaten the Angolan capital under the pretense of staging a ‘humanitarian intervention’ for the Bakongo and thus indefinitely hold out the Damocles’ Sword of regime change over the MPLA. There is nothing to indicate that this would happen anywhere in the coming future, but it’s still a strategic risk that Angolan policy makers should monitor just in case, as the geopolitical foundation for this danger will never change so long as the borders and their related demographics remain the same as they are today.